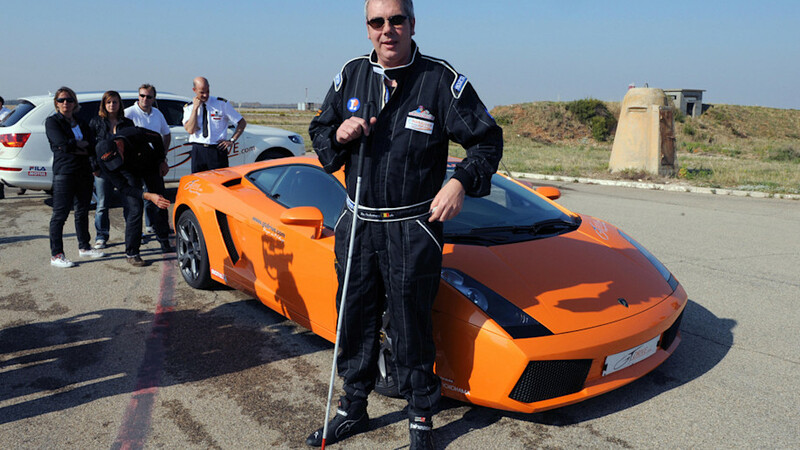 Even the blind and visually impaired can exert a lot of sports. For this goal possible. So everyone has already heard of tandem riding, swimming, horseback riding, chess, water skiing,?? In addition, some sports specially developed for people with impaired vision, such showdown and Goalball played with jingling balls. 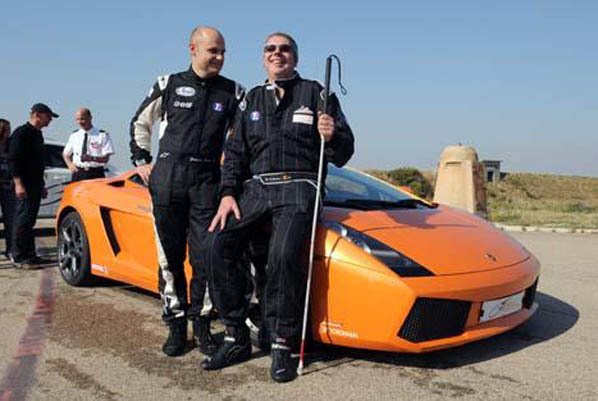 Also choose some blind and visually impaired for a sporting challenge, a choice that is considered to many as yet impossible, or at least make the eyebrows frown. Luc Coster’s so?? s example; he shoots with their various sports disciplines and calls on the blind makes it possible to make something of their lives. Luc Coster’s, originally a Belgian citizen since 1989, but lives in Avignon, France, in 2004 at the age of 39 blind by accident. This father of two daughters did not throw in the towel and immediately wanted to push boundaries.With that, he wants to encourage other sufferers to live an active life. There are actually a lot of opportunities outside the limit. For this he travels to different countries to show through various challenging sport in society. 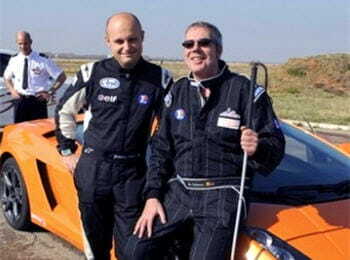 Luc is active in France with his association “Les non-voyants et leurs Droles machines.” Other blind and partially sighted people get from experienced instructors driving lessons on a circuit. Additionally see people blindfolded, are welcome. This idea has spread to Belgium and the Netherlands, where such activities take place sporadically organized by blind follow-up work. 2006: Fly-14h for 1900 km at a stretch flown over Belgium and France. With this, he has won two seats in the Guinness Book of Records; for both the remote and the last record. 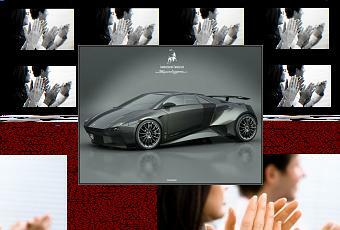 2008: auto racing-308.780 km / h with a Lamborghini Gallardo. 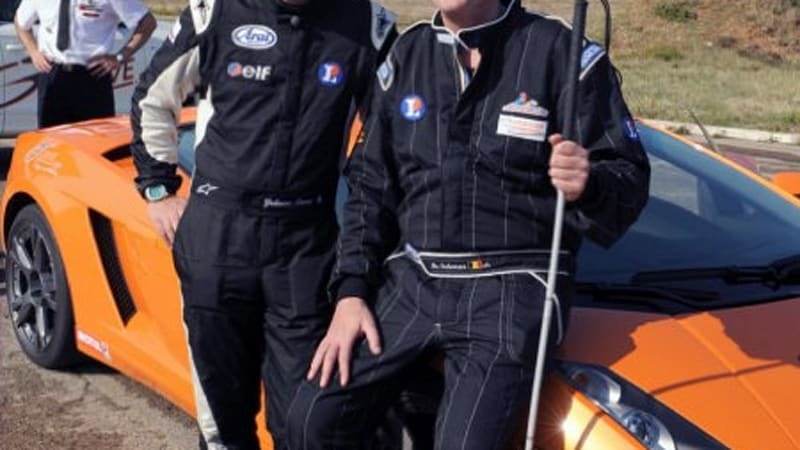 In October 2009, the world was cut nibble of blind Hein Wagner 322 km / h drove a Mercedes Benz SL 65 Black Series. 2009: motorboat racing around Corsica – 235 nautical miles, 7u51: 04 hours, maximum speed of 46.8 knots. 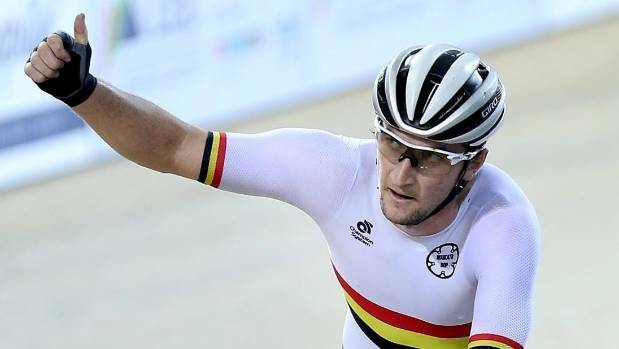 This resulted Luc three world records. 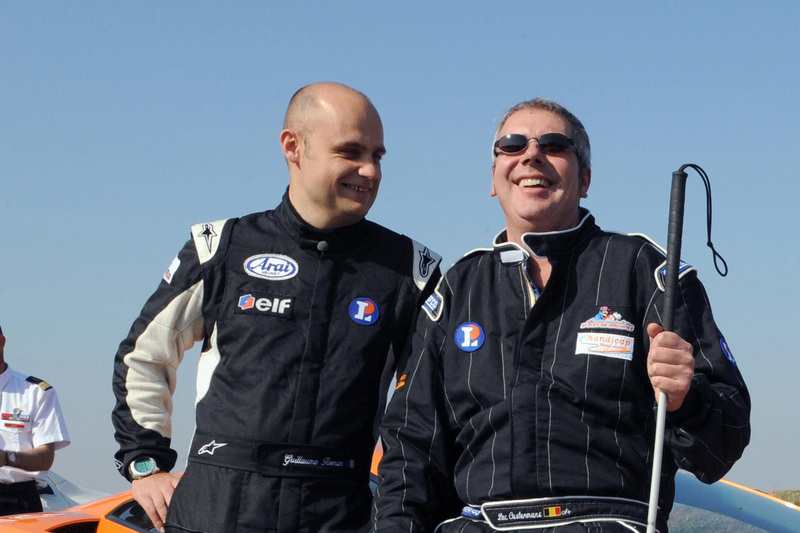 Luc Coster’s like pain, organize exciting events for blind and visually impaired. He wants society to show that blind and visually impaired should not sit in a corner, but best to live an active life. Il ne voit rien mais qu’est-ce qu’il est rapide !